Dr. Adam Santorelli is an IRC Government of Ireland Postdoctoral Fellow in the Translational Medical Device Lab at the National University of Ireland, Galway. He studied at McGill University, Montreal, Canada, where he received his B. Eng, M. Eng, and Ph.D. in Electrical Engineering in 2010, 2012, and 2017, respectively. He has been with the Translational Medical Device Laboratory at National University of Ireland Galway since 2016, initially as a visiting researcher, and full-time as a postdoctoral researcher since 2017. Dr. Santorelli’s current research is motivated by novel medical applications of electromagnetic and electrical engineering technologies. His work is focused on the development of compact and low-cost medical devices with the primary goal of increasing the accessibility to technology for improved diagnosis and treatment of diseases. His current work projects are focused on the development of a novel sensor to characterize and monitor changes in white blood cell count during chemotherapy, the analysis and classification of EIT data for bladder and brain trauma monitoring, and the study of the impact of various physiological processes on the dielectric properties of blood. Dr. Santorelli has published over 50 peer-reviewed journal papers and conference proceedings. He is an active member of the Institute of Electrical and Electronics Engineers (IEEE), acting as a reviewer for several IEEE journals (TBME, TIM, TMTT, TMI, and IEEE Access), is a part of the MiMed TD1301 Cost Action (Accelerating the Technological, Clinical and Commercialisation Progress in the Area of Medical Microwave Imaging), the EMF-MED BM1309 Cost Action (European network for innovative uses of EMFs in biomedical applications), and the MyWAVE (European network for advancing Electromagnetic hyperthermic medical technologies) CA17115 COST Action. 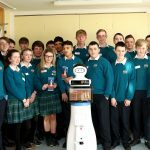 S. Whelan, K. Murphy, E. Barrett, C. Krusche, A. Santorelli, and D. Casey, “Factors affecting the acceptability of social robots by older adults including people with dementia or cognitive impairment: a literature review,” International journal of social robotics, p. 1–26, 2018. E. Dunne, A. Santorelli, B. McGinley, M. O’Halloran, G. Leader, and E. Porter, “Eit image-based bladder state classification for nocturnal enuresis,” Electrical impedance tomography, p. 40, 2018. D. Casey, K. Murphy, M. Burke, A. Santorelli, E. Barrett, S. Whelan, T. Kovacic, and K. Cortis, “Employing companion robots to enhance social engagement for people with dementia,” Alzheimer’s & dementia: the journal of the alzheimer’s association, vol. 14, iss. 7, p. P186–P187, 2018. Y. Li, E. Porter, A. Santorelli, M. Popović, and M. Coates, “Microwave breast cancer detection via cost-sensitive ensemble classifiers: phantom and patient investigation,” Biomedical signal processing and control, vol. 31, p. 366–376, 2017. B. McDermott, E. Porter, A. Santorelli, B. Divilly, L. Morris, M. Jones, B. McGinley, and M. O’Halloran, “Anatomically and dielectrically realistic microwave head phantom with circulation and reconfigurable lesions,” Progress in electromagnetics research, vol. 78, p. 47–60, 2017. S. G. R. d IRCCS, “Interacting with dementia: the mario approach,” Harnessing the power of technology to improve lives, vol. 242, p. 38–47, 2017. S. Whelan, C. Kouroupetroglou, A. Santorelli, M. Raciti, E. Barrett, and D. Casey, “Investigating the effect of social robot embodiment.,” Studies in health technology and informatics, vol. 242, p. 523–526, 2017. E. Porter, H. Bahrami, A. Santorelli, B. Gosselin, L. A. Rusch, and M. Popović, “A wearable microwave antenna array for time-domain breast tumor screening,” Ieee transactions on medical imaging, vol. 35, iss. 6, p. 1501–1509, 2016. E. Porter, A. Santorelli, R. Kazemi, and M. Popović, “Microwave time-domain radar: healthy tissue variations over the menstrual cycle,” Ieee antennas wireless propag. lett., vol. 14, iss. 1, p. 1310–1313, 2015. H. Bahrami, E. Porter, A. Santorelli, B. Gosselin, M. Popovich, and L. Rusch, “Flexible sixteen antenna array for microwave breast cancer detection,” The breast, vol. 5, iss. 8, p. 9, 2015. A. Santorelli, E. Porter, E. Kang, T. Piske, M. Popović, and J. D. Schwartz, “A time-domain microwave system for breast cancer detection using a flexible circuit board,” Ieee transactions on instrumentation and measurement, vol. 64, iss. 11, p. 2986–2994, 2015. A. Santorelli, E. Porter, E. Kirshin, Y. J. Liu, and M. Popovic, “Investigation of classifiers for tumor detection with an experimental time-domain breast screening system,” Progress in electromagnetics research, vol. 144, p. 45–57, 2014. E. Porter, A. Santorelli, and M. Popovic, “Time-domain microwave radar applied to breast imaging: measurement reliability in a clinical setting,” Progress in electromagnetics research, vol. 149, p. 119–132, 2014. E. Porter, A. Santorelli, M. Coates, and M. Popović, “Time-domain microwave breast cancer detection: extensive system testing with phantoms,” Technology in cancer research & treatment, vol. 12, iss. 2, p. 131–143, 2013. A. Santorelli, M. Chudzik, E. Kirshin, E. Porter, A. Lujambio, I. Arnedo, M. Popovic, and J. D. Schwartz, “Experimental demonstration of pulse shaping for time-domain microwave breast imaging,” Progress in electromagnetics research, vol. 133, p. 309–329, 2013. E. Porter, E. Kirshin, A. Santorelli, M. Coates, and M. Popovic, “Time-domain multistatic radar system for microwave breast screening,” Ieee antennas wireless propag. lett, vol. 12, iss. 1, p. 229–232, 2013. E. Porter, E. Kirshin, A. Santorelli, and M. Popovic, “Microwave breast screening in the time-domain: identification and compensation of measurement-induced uncertainties,” Progress in electromagnetics research, vol. 55, p. 115–130, 2013. E. Broadbent, H. S. Ahn, N. Kerse, K. Peri, C. Sutherland, M. Law, B. MacDonald, G. H. Kim, M. Salichs, D. Casey, and others, “Can robots improve the quality of life in people with dementia?,” in Proceedings of the technology, mind, and society, 2018, p. 7. K. El Hallaoui, A. Santorelli, M. Popović, and M. Coates, “Signal analysis and phantom experiments for a miniaturized time-domain microwave breast health monitoring device,” in Antennas and propagation (eucap), 2017 11th european conference on, 2017, p. 1828–1832. J. Moll, D. Wcõrtge, V. Krozer, A. Santorelli, M. Popović, B. Bazrafshan, F. Hübner, T. J. Vogl, and N. Nikolova, “Quality control of carbon-rubber tissue phantoms: comparative mri, ct, x-ray and uwb microwave measurements,” in Antennas and propagation (eucap), 2017 11th european conference on, 2017, p. 2723–2727. K. Christos, C. Dympna, R. Massimiliano, B. Eva, D. Grazia, R. Francesco, G. Francesco, G. Antonio, S. Daniele, M. Arlene, and others, “Interacting with dementia: the mario approach,” in Aaate congress, 2017. Y. Li, A. Santorelli, and M. Coates, “Comparison of microwave breast cancer detection results with breast phantom data and clinical trial data: varying the number of antennas,” in Antennas and propagation (eucap), 2016 10th european conference on, 2016, p. 1–5. A. Santorelli, E. Porter, S. Dantas, M. Popović, and J. Schwartz, “Low-cost hardware for a time-domain microwave system for breast health monitoring,” in Antennas and propagation (eucap), 2016 10th european conference on, 2016, p. 1–4. A. Santorelli, P. Hazarika, M. Popović, A. Elahi, and M. O’Halloran, “Hybrid artifact removal for breast imaging applied to a time-domain microwave system,” in Antenna technology and applied electromagnetics (antem), 2016 17th international symposium on, 2016, p. 1–2. K. El Hallaoui, A. Santorelli, M. Popović, and M. Coates, “A miniaturized clock generator for a time-domain microwave breast health monitoring device,” in Antenna technology and applied electromagnetics (antem), 2016 17th international symposium on, 2016, p. 1–2. P. Hazarika, A. Santorelli, and M. Popović, “Investigation of antenna array configurations for microwave radar breast screening,” in Antenna technology and applied electromagnetics (antem), 2016 17th international symposium on, 2016, p. 1–2. Y. Li, A. Santorelli, O. Laforest, and M. Coates, “Cost-sensitive ensemble classifiers for microwave breast cancer detection,” in Acoustics, speech and signal processing (icassp), 2015 ieee international conference on, 2015, p. 952–956. 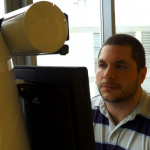 E. Porter, R. Kazemi, A. Santorelli, and M. Popović, “Study of daily tissue changes through breast monitoring with time-domain microwave radar,” in Antennas and propagation (eucap), 2015 9th european conference on, 2015, p. 1–5. A. Santorelli, O. Laforest, E. Porter, and M. Popović, “Image classification for a time-domain microwave radar system: experiments with stable modular breast phantoms,” in Antennas and propagation (eucap), 2015 9th european conference on, 2015, p. 1–5. E. Porter, A. Santorelli, and M. Popovic, “Measurement uncertainties in differential radar applied to breast imaging,” in Sensors applications symposium (sas), 2014 ieee, 2014, p. 6–10. A. Santorelli and J. Schwartz, “Predicting cole-cole parameters of microfluids with microstrip technology,” in Sensors applications symposium (sas), 2014 ieee, 2014, p. 219–222. A. Santorelli, Y. Li, E. Porter, M. Popović, and M. Coates, “Investigation of classification algorithms for a prototype microwave breast cancer monitor,” in Antennas and propagation (eucap), 2014 8th european conference on, 2014, p. 320–324. E. Porter, A. Santorelli, and M. Popović, “Time-domain microwave radar for breast screening: initial testing with volunteers,” in Antennas and propagation (eucap), 2014 8th european conference on, 2014, p. 104–107. H. Bahrami, E. Porter, A. Santorelli, B. Gosselin, M. Popovic, and L. A. Rusch, “Flexible sixteen monopole antenna array for microwave breast cancer detection,” in 2014 36th annual international conference of the ieee engineering in medicine and biology society, 2014, p. 3775–3778. E. Porter, A. Santorelli, and M. Popović, “Breast monitoring via time-domain microwave radar: early clinical trial study,” in Engineering in medicine and biology society (embc), 2014 36th annual international conference of the ieee, 2014, p. 6601–6604. E. Porter, A. Santorelli, M. Coates, and M. Popović, “Breast tissue screening with microwave time-domain radar: initial clinical trials,” in Antenna measurements & applications (cama), 2014 ieee conference on, 2014, p. 1–4. E. Porter, E. Kirshin, A. Santorelli, and M. Popovic, “A clinical prototype for microwave breast imaging using time-domain measurements,” in Antennas and propagation (eucap), 2013 7th european conference on, 2013, p. 830–832. A. Santorelli, E. Kirshin, E. Porter, M. Popović, and J. Schwartz, “Improved calibration for an experimental time-domain microwave imaging system,” in Antennas and propagation (eucap), 2013 7th european conference on, 2013, p. 801–805. E. Porter, A. Santorelli, S. Winkler, M. Coates, and M. Popovic, “Time-domain microwave cancer screening: optimized pulse shaping applied to realistically shaped breast phantoms,” in Microwave symposium digest (mtt), 2012 ieee mtt-s international, 2012, p. 1–3. A. Santorelli, E. Porter, M. Popović, and J. Schwartz, “Pulse shaping for time-domain microwave breast tumour detection: experiments with realistic tissue phantoms,” in Antennas and propagation (eucap), 2012 6th european conference on, 2012, p. 939–943. E. Porter, A. Santorelli, D. Coulibaly, M. Coates, and M. Popovic, “Time-domain microwave breast screening system: testing with advanced realistic breast phantoms,” in Antennas and propagation (eucap), 2012 6th european conference on, 2012, p. 1766–1769. S. A. Winkler, E. Porter, A. Santorelli, M. Coates, and M. Popović, “Recent progress in ultra-wideband microwave breast cancer detection,” in Ultra-wideband (icuwb), 2012 ieee international conference on, 2012, p. 182–186. A. Santorelli, “Breast screening with custom-shaped pulsed microwaves,” in Masters abstracts international, 2012. E. Porter, A. Santorelli, M. Coates, and M. Popovic, “An experimental system for time-domain microwave breast imaging,” in Antennas and propagation (eucap), proceedings of the 5th european conference on, 2011, p. 2906–2910. E. Porter, A. Santorelli, M. Coates, and M. Popovic, “Microwave breast imaging: time-domain experiments on tissue phantoms,” in Antennas and propagation (apsursi), 2011 ieee international symposium on, 2011, p. 695–698. E. Porter, A. Santorelli, A. Bourdon, D. Coulibaly, M. Coates, and M. Popovi, “Time-domain microwave breast cancer detection: experiments with comprehensive glandular phantoms,” in Microwave conference proceedings (apmc), 2011 asia-pacific, 2011, p. 203–206. A. Santorelli, M. Vander Schueren, and M. Popovic, “Sar levels in microwave breast imaging: 3-d safety assessment with plane-wave illumination,” in Microwave conference proceedings (apmc), 2011 asia-pacific, 2011, p. 481–484. 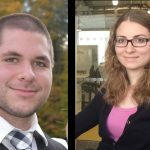 A. Santorelli and M. Popović, “Sar distribution in microwave breast screening: results with twtltla wideband antenna,” in Intelligent sensors, sensor networks and information processing (issnip), 2011 seventh international conference on, 2011, p. 11–16. A. Santorelli, “A compact and low-cost microwave radar prototype for breast health monitoring”, Ph.D. Thesis, Dept. Elec. and Comp. Eng., McGill Univ., Montréal, Canada, 2017.